Director Jason Reitman is expected to meet with some actors this Oscar weekend in hopes of casting some young talent to star in his upcoming Ghostbusters sequel. This tidbit comes to us courtesy of The Hollywood Reporter. The outlet is saying that Jason Reitman is looking to fill the roles of two younger pairs of siblings, both a brother-sister combo ranging in ages from 12 to 17-years. The site also points out that the director will be meeting with hopeful talents this, the weekend of the Academy Awards and that we should expect casting news sooner rather than later. Not a whole lot is known about the new Ghostbusters project at this point other than what Jason Reitman has mentioned in some interviews. Such factoids include that it will not take place in the cinematic universe of Paul Feig’s 2016 all-female reboot; rather, the upcoming movie will follow the events of the original two Ghostbusters films. Both, by the way, were directed by the father of Jason Reitman, Ivan Reitman. Ivan is currently attached as a producer for his son’s installment. 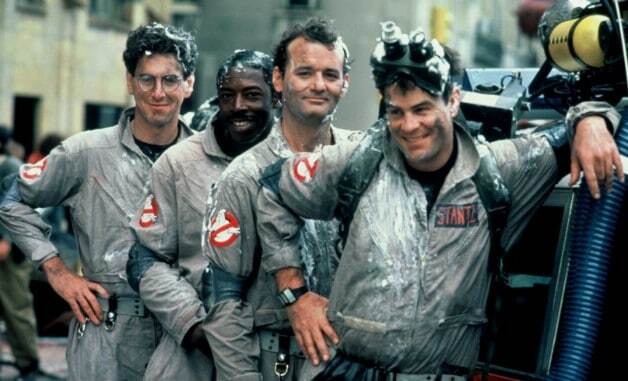 No word at this point on whether or not the remaining stars of the original Ghostbusters cast will make an appearance in the new movie. Superhero films have existed since the 1920s (if you count Zorro) and have always been a part of our public lexicon. However, recently, superhero films have had an exponential uptick in production, thanks to CGI and film budgets finally being able to accurately keep up with our imagination. Currently, the superhero film is the mainstream blockbuster. Ever since Iron Man hit theaters way back in 2008, the amount of modern-day superhero films has continued to grow. Sure, there were superhero films before that, from Superman in 1978 and Batman in 1989, as well as Blade in the late 90s to X-Men in the early 2000s, and Sam Rami’s Spider-Man trilogy. But now, superhero films are the dominant form of pop culture entertainment. This year alone, there are 7 superhero movies hitting theaters. It’s a good time to be a geek! Many of our favorite characters growing up are now getting their due on the big screen. As we are now knee-deep in the age of the superhero film, these projects also have the potential to oversaturate the market. There’s always talk of “superhero fatigue” and some even predicting that superhero films will go the way of the Western by showing the same thing over and over again. After all, there are only so many ways heroes can face off against a villain to stop a “sky beam” before things get stale. Luckily for us, the superhero genre has ways of reinventing itself by introducing new sub-genres in these films. Captain America: The Winter Soldier gave us a political thriller wrapped in a superhero movie. Ant-Man gave us a heist film disguised as a superhero movie. Doctor Strange gave us a film of sorcery. Guardians of the Galaxy gave us a space-opera. Man of Steel gave us a darker edge of heroics and the calamity that they can cause (which Captain America: Civil War also did). Of course, Logan knocked it out of the park by giving us a superhero Western. The Batman is promising to be a noir film while The New Mutants and Sony’s Venom are expected to be full-on horror films. So, there are obviously a lot of places that the superhero genre can continue to evolve and grow upon. Here are a few sub-genres that could exist in future superhero films. Click Next to take a look….